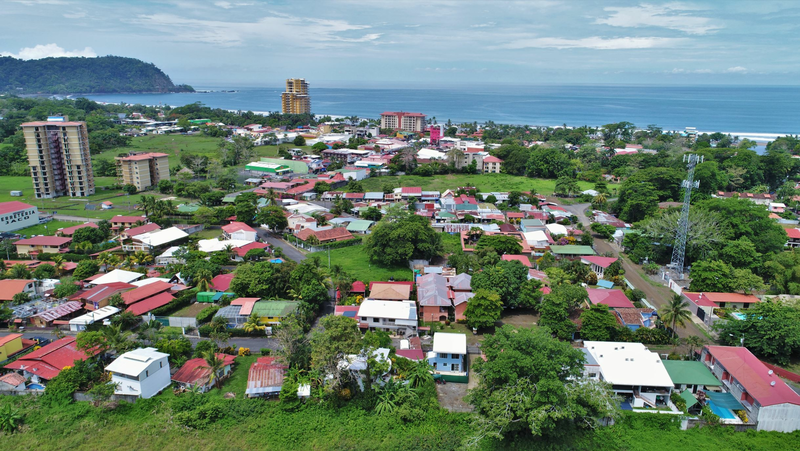 We are often ask about where to live and what are the different amenities of Jaco Beach Costa Rica and the neighboring communities. Therefore; we want to present a brief overview of each of them. Click here to watch a 2 minute video about our area. The coastal city of Jaco Beach is located on the Pacific Region of Costa Rica. This area is the perfect combination of a laid back local community and touristic attractions. The area has become a tourist mecca in Costa Rica. The lifestyle and standard of living makes this town very appealing for both retirees and locals. The city of Jaco Beach is an international hub with a population of approximately 20,000. The town is a short drive from the international airport, approximately an hour and a half, which makes it one of the most visited beach towns in Costa Rica. The atmosphere is very relaxed and the locals are warm an friendly. The beach of Jaco is 2.5 miles long and offers world famous surf. Catching waves is one of the most popular activities in the city. Besides the surf Jaco offers a wide range of outdoor activities like ATV tours, deep sea fishing, hiking, biking, horseback riding, canopy tours, yoga classes and incredible national parks. Among the many amenities in Jaco you find several retail options. You are conveniently near of large supermarkets and smaller convenience stores, medical services, spas, shops, banks, and a movie theater. There are incredible restaurants to find in Jaco fir every taste and budget. the tow is also known for its vibrant nightlife. There are plenty of bars, casinos and nightclubs. Click here to view all 15 oceanfront condo developments in Jaco. The area of Herradura Bay Los Suenos is a coastal town located 4 km north of Jaco. This Central Pacific beach town is called home home by many Costa Ricans and expats. The beach of Herradura is located in a beautiful bay and the crystalline water and black sand beach are lined with palm trees and a lush mountain back drop. This is a safe place for swimming since the water is a lot more tranquil than at surrounding beaches. 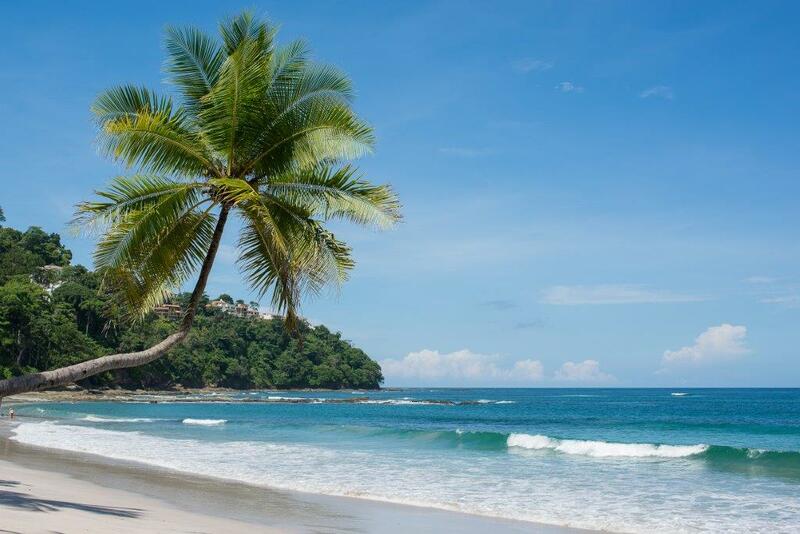 Due to the calmer ocean the beach at Herradura is very popular among the Costa Ricans during the weekends when families come to have fun in the sun, sand and ocean. Playa Herradura has different types of accommodations for all visitors. You can book a stay in a hotel, condominium developments or cabins. There are restaurants located ocean front from where you can watch the sunset during a beautiful dinner. In Herradura Bay you will find the world famous Los Suenos Resort and Marina. Inside Los Suenos Resort are located several luxurious condominium developments which are the perfect location for a permanent resident or a vacation home. For the fishing enthusiasts this is a dream come true. There is a five-star marina located in Los Suenos. 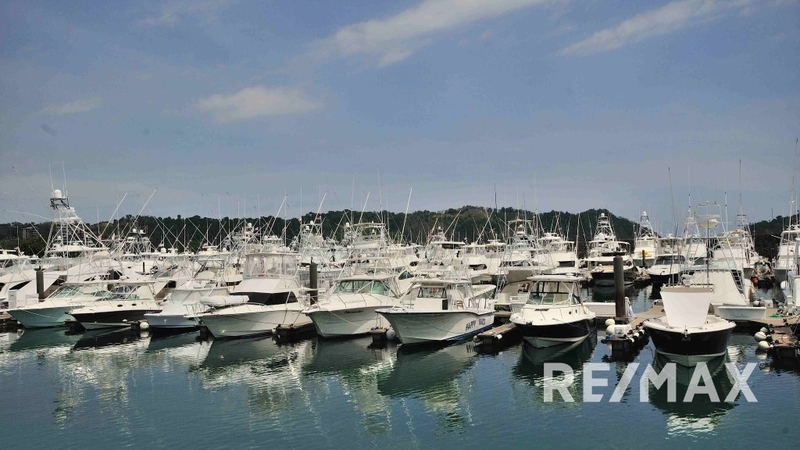 The Los Sueños Marina is home to the largest fleet of game fishing captains and boats in the Costa Rica. Los Suenos Resort also has an impressive 18 hole championship golf course. Playa Herradura is a destination full of activities to entertain you. This area is full of amenities like luxury supermarket, banks, medical services, pharmacy and several retail options. Herradura Valley is the local community just behind the Los Suenos Marina Resort and Golf Community. This community is home to many expats and locals alike. The area is surrounded by a beautiful mountain range which sweeps back into the Herradura Bay. The Herradura Valley has many gated communities, condominiums, residential and commercial property as well as single family homes. The community is 4 km north of Jaco Beach. Herradura Valley is full of features, stores, retail, activities and entertainment options. In Herradura Bay you may find smaller fishing boats and restaurants giving you a very good picture of the coastal life of the country. The town of Hermosa Beach is a area located 4 km south of Jaco on the Pacific Coast of Costa Rica. Playa Hermosa, how is known by he locals is a very popular destination among surfers and expats that want to live in a quiet area while still been near all conveniences of larger nearby cities. There are several, restaurants,hotels, convenience stores. There a beautiful homes located beach front in the center area of Hermosa. Hermosa Beach has several communities and neighborhoods with condominiums and houses. Among the most sough after neighborhoods in Hermosa is Opera Salvage, a secure neighborhood very popular with families and is surrounded by lush forest and mountains. Also in the city is Hermosa Palms, a gated beachfront community on the south area of Hermosa that has single family homes. Hermosa has a coastline best described as a big stretch of black sand and unspoiled beach.The beach is perfect for an incredible walk. The feature that puts Hermosa Beach as a world known destination is the waves known by surfers its consistent, whole year round surf breaks. Because of the great waves it is often the place for international and national surf competitions. The hotels in Hermosa Beach are very cozy and many of them are located beachfront so you can keep a check on the waves. Among the many features of the town are a yoga studio, a couple of small convenient stores, and a pre-school and elementary school called Ficus Tree. 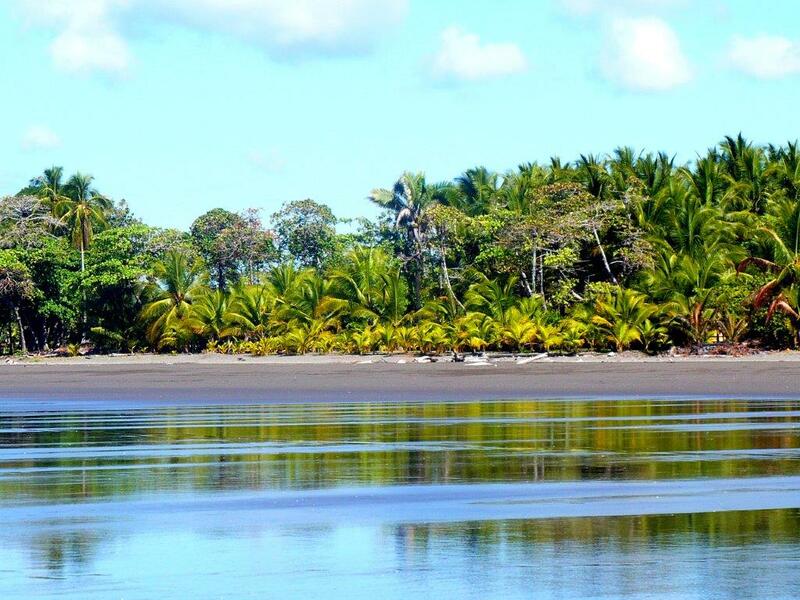 The town of Esterillos is a quiet small fishing village located on the beach on the Pacific Ocean in Costa Rica. The beach is 7 km long and is a gorgeous setting for swimming long walks, and has several good surf spots. The waves and natural beauty make this area an ideal place for those who are looking for activity but also enjoy tranquility. The city of Esterillos is divided on the following towns which all have access to the beach, Esterillos Oeste, Esterillos Centro and Esterillos Este. Out of the three areas Esterillos Oeste is the most developed, but it is still is a quaint coastal town. The Esterillos central entrance is near a gas station. Esterillos Este is home to high end beachfront homes and luxury boutique hotels. In the mountain area of Esterillos there are several gated communities where you can find houses. condominiums and lots. For the lovers of Eco-Tourism this is an excellent area to observe the local white face monkeys and wildlife.